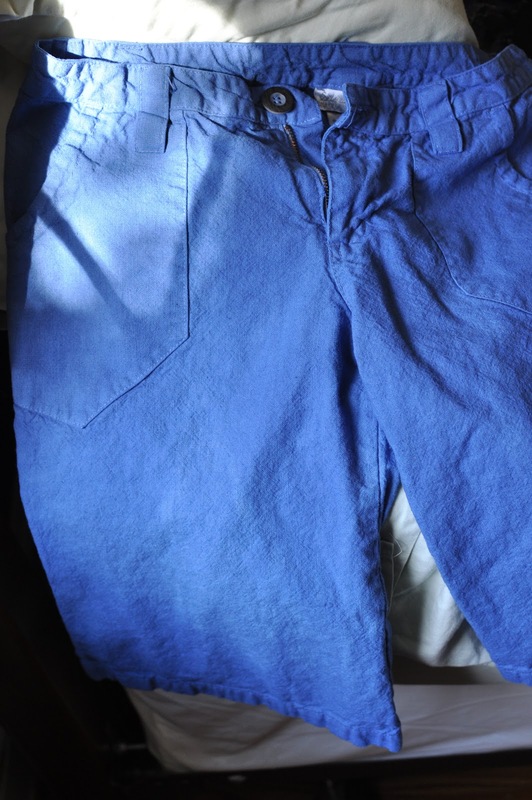 I have this cute pair of hemp/cotton blend shorts that I have not worn in ages due to a stain. So, I decided to attempt to fix this stain by dying them a shade or two darker. 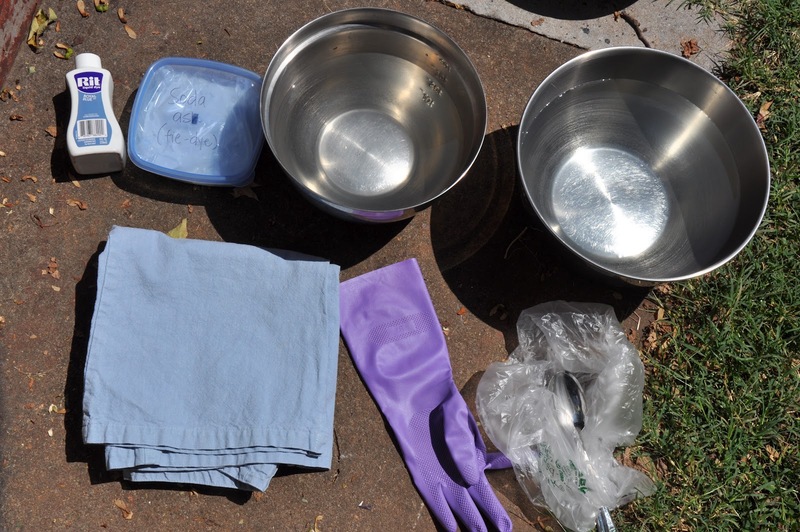 Supplies needed: fabric dye, soda ash, two bowls of warm water, plastic bag, salt, gloves, garment to dye. 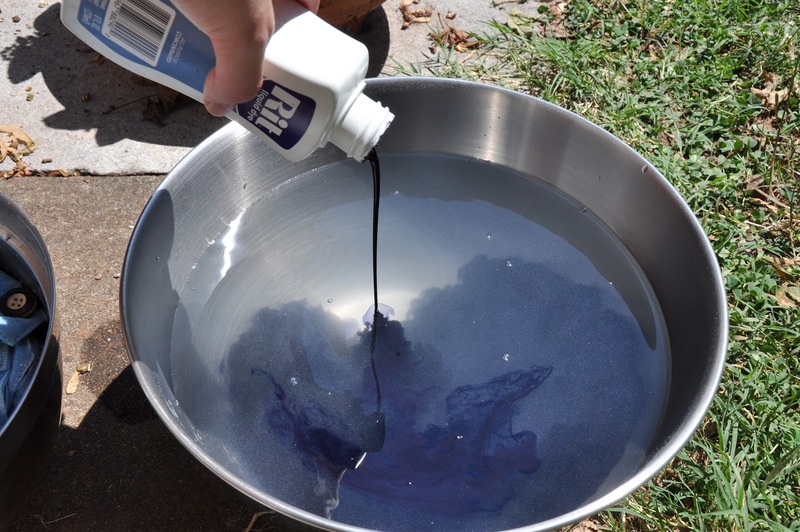 I used the Rit liquid dye in blue. Soda ash can be found at most craft stores. 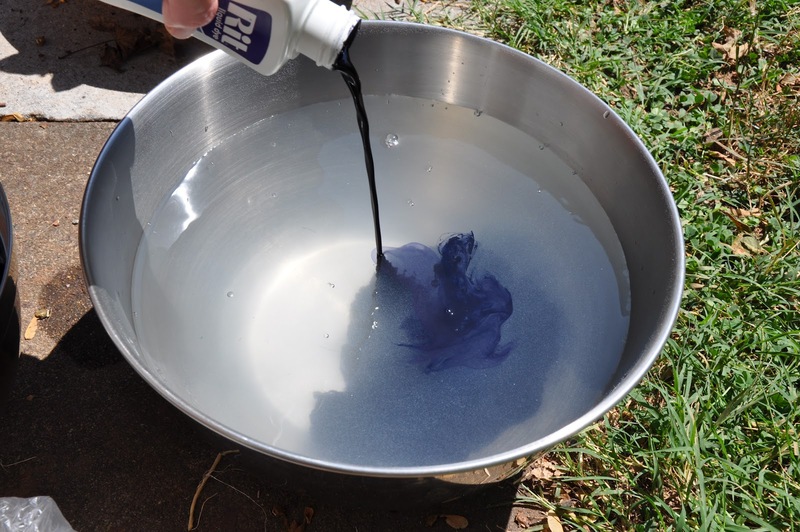 I always tie dye outdoors for two reasons: to prevent really bad spilling which equals stains, and as ventilation if you are using powder dye and from the soda ash. 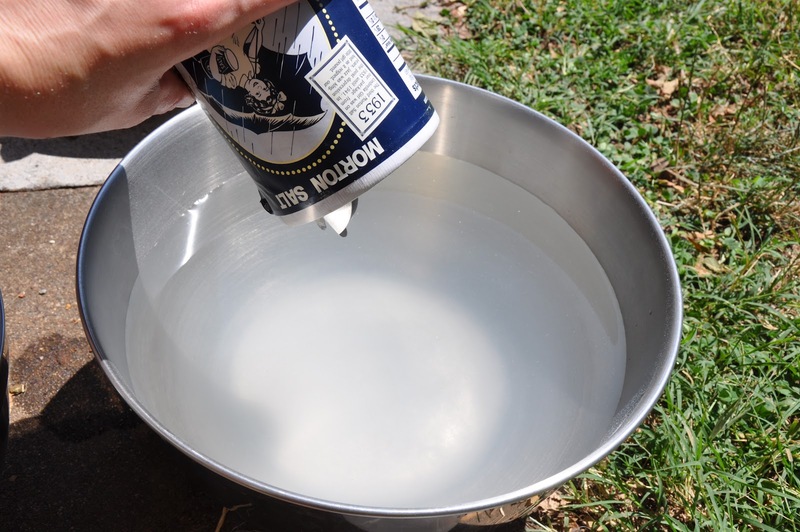 In the first bowl of warm water, mix the soda ash, according to the label. I use 1 cup per gallon of water. 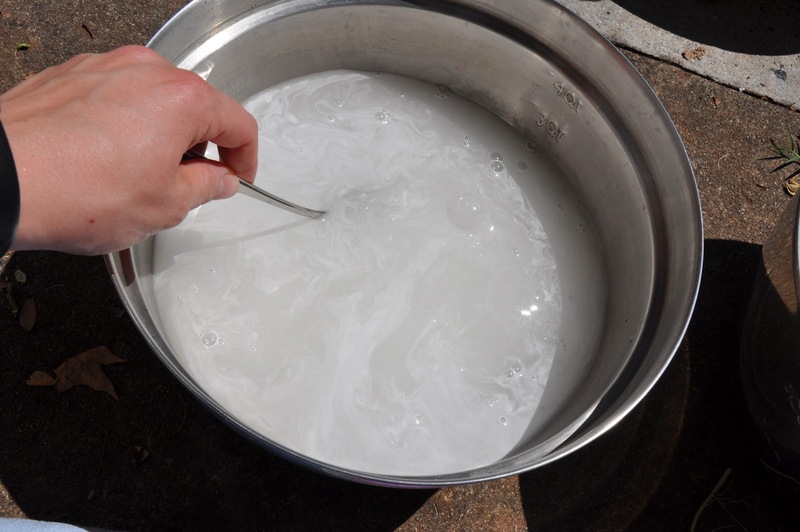 Soda ash is another term for sodium carbonate and it helps the dye bond to the fabric. 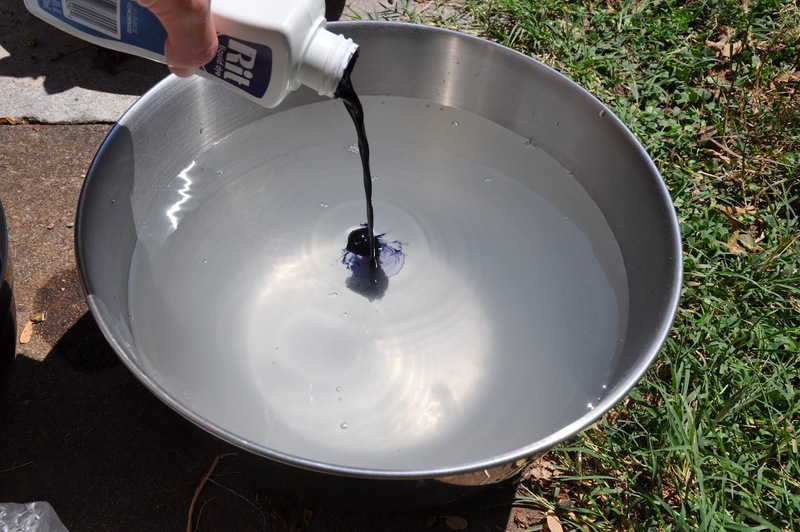 This compound is also used as water softeners, in pools, in glass production, and in cleaners. 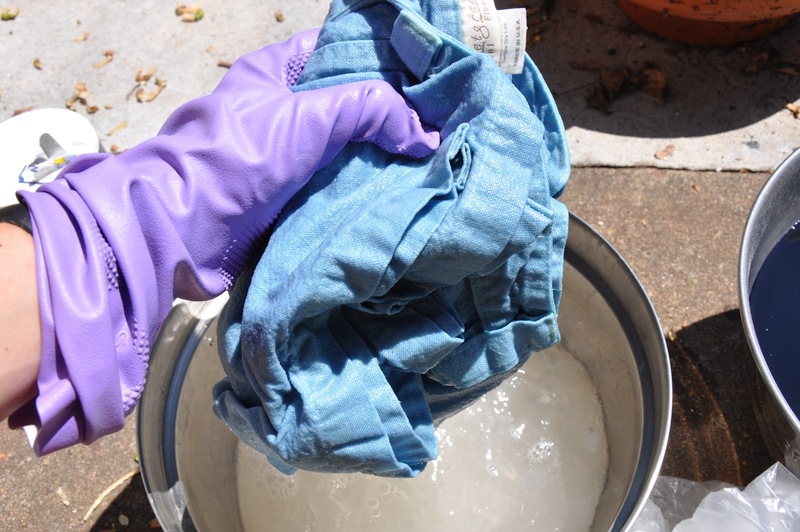 Dip the garment into the soda ash and swirl them around. Be sure the garment is completely soaked. Add 1 cup of salt per 1 gallon of warm water and mix thoroughly. Add the dye. I prefer liquid dye. The more you add, the darker the color results will be. I used 1/3 of a bottle. 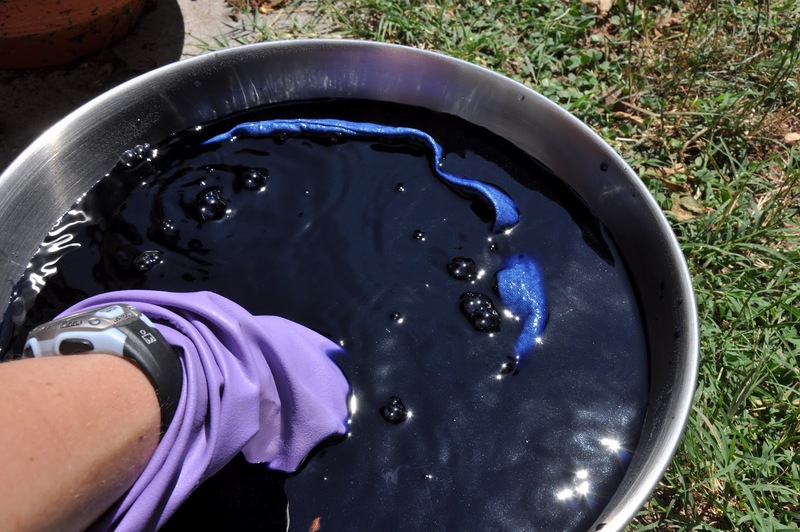 Completely submerge garment into dye bath. 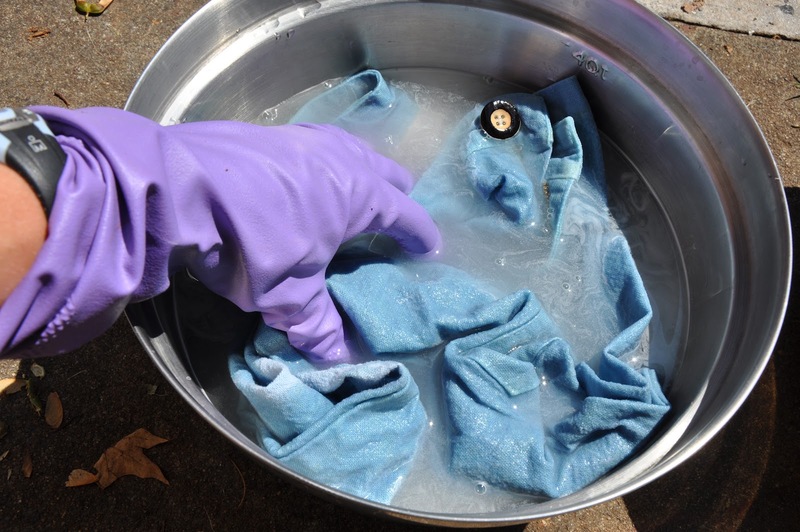 Using a gloved hand, make sure all parts of garment are submerged. Leave in dye bath as long as necessary. My shorts were left to soak for 1 hour. 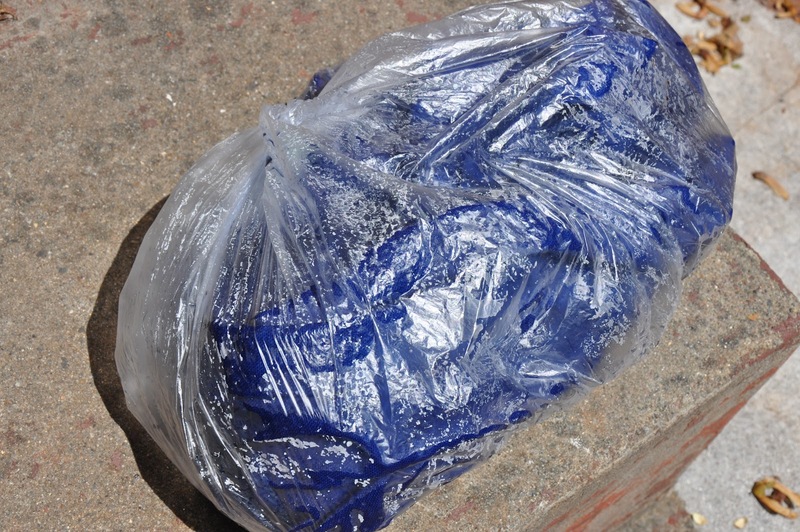 Transfer to a plastic bag and tie shut. This is the resting period and is important for allowing the dye to set. I always choose a warm, sunny spot to place my bag to allow for optimal resting. Most directions say 4 to 24 hours for the resting stage. Again, the longer you wait, the darker the color. I went with the shorter time period of 4 hours. After the resting stage, transfer to the washing machine. Wash and dry according to garment directions. 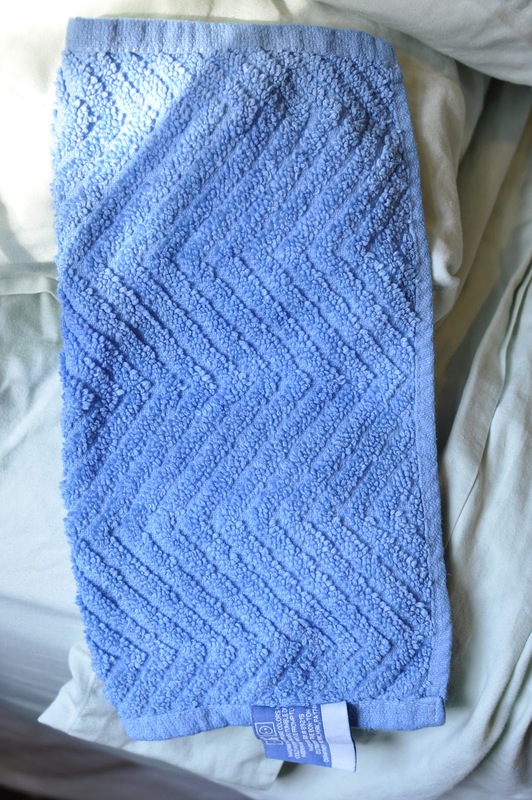 Remember that washcloth I bleached too far earlier? Here it is with a fresh color of blue! Happy dying! My students find this morbidly funny when I tell them this during the tie dye unit.